I have a recycled gardening project to share with you all. I’ve heard about self-watering planters that you can make yourself and after searching around the Internet, I found several different versions. 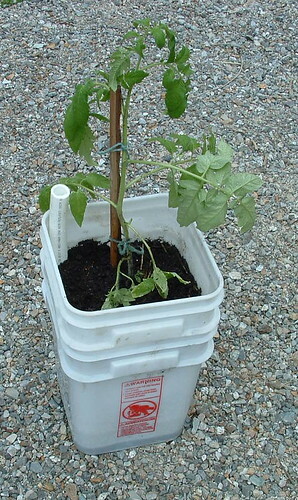 For my planter, I used 2 recycled plastic buckets, a tin can, and a piece of plastic piping I found in my basement. I get these buckets for a dollar at my local grocery store’s bakery. They are food grade so they are perfect for making the self-watering containers. I used this DIY tutorial link at urbanorganicgardener.com to make the planter with the pipe. There is also a tutorial at the same link that shows how to make the planter without the pipe and also a plastic pop bottle version too. Here is a closeup of the can I used for my wickering can. 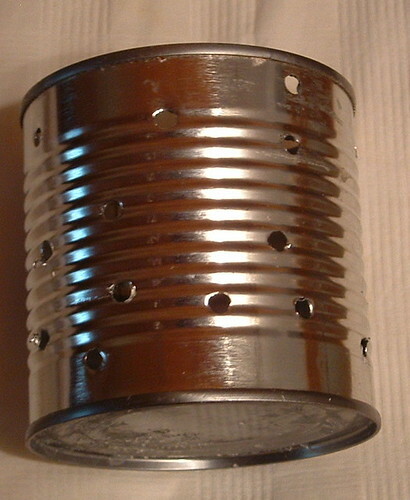 It’s a 15 oz bean tin can with lots of holes drilled into it. This can was the perfect height for inside my self-watering containers as it just reaches inside the top of the stacked containers. I present my first recycled soda pop tab bracelet. 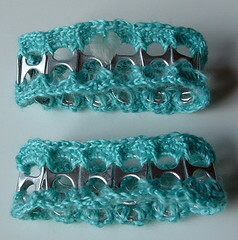 I crocheted these two bracelets using some lightweight yarn that I received in a swap. The yarn was a bit thin so I doubled it up to crochet these bracelets. 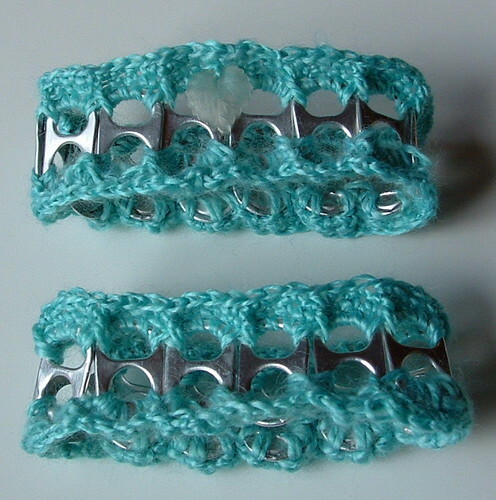 Here is the link for the original soda tab crochet pattern that my bracelets were based upon. My friend Kristy created a video which was really helpful for me to understand how to assemble the bracelet using the recycled soda pop tabs. You can view Kristy’s video tutorial below. 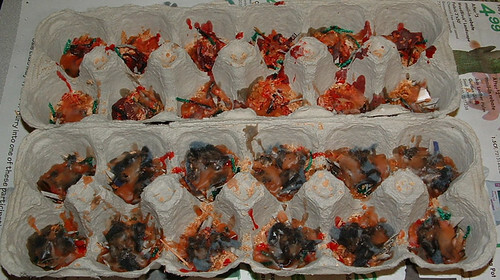 Recycling egg cartons into fire starters is easy and a very frugal way to start your fire. Whether you are starting a fire in a wood stove or campfire, fire starters are always a handy thing to have on hand. I love making my own fire starters from recycled materials I have on hand. 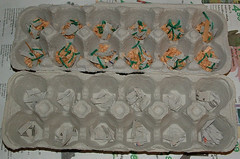 I use old egg cartons for my base and then add bits of burnable materials such wood shaving from a chain saw, pencil sharpener, or a miter saw. 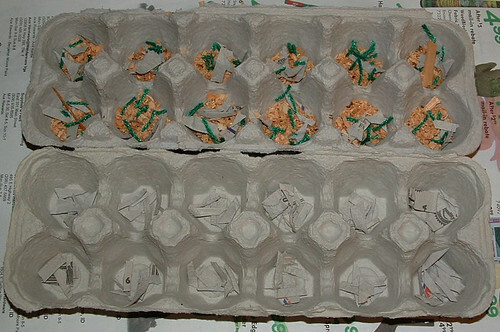 I put some wood shavings in the bottom of the egg carton holes and then added bits of cut up cardboard and scraps of cut up yarn. The added scraps of materials make your fire starters easier to light and help the burning process to produce a great fire starter. Next I melted leftover wax from an old candle in the glass container it came in. I placed the glass jar in some water in a sauce pan. 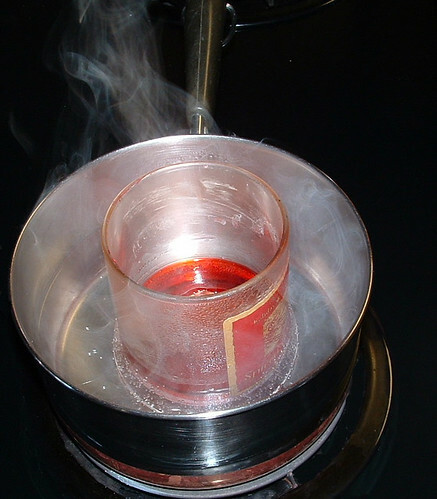 Over gentle heat, warm the wax until it melts. I added more bits of old wax to the jar as needed to cover the materials in my egg cartons. I used an old spoon to dribble the wax over each fire starter in the egg carton. I added some lint from my dryer in one egg carton set as shown above. Dryer lint burns well and is a wonderful material to use for making fire starters. I dribbled more wax over my fire starters and here is the final results. Now just separate the individual filled egg holders from each other which results in 12 very wonderful fire starters. If you are into recycled crafting, you might want to try crafting with vcr video tapes. The beauty is using these reels of pre-made materials is that you simply just need to open up the cases and away you can go with your crafting. 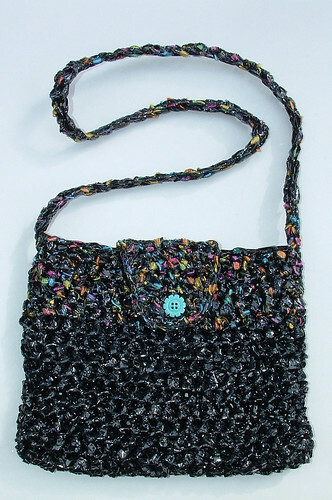 You can use my tutorial on how to turn vcr video tape into “yarn” to craft your projects. 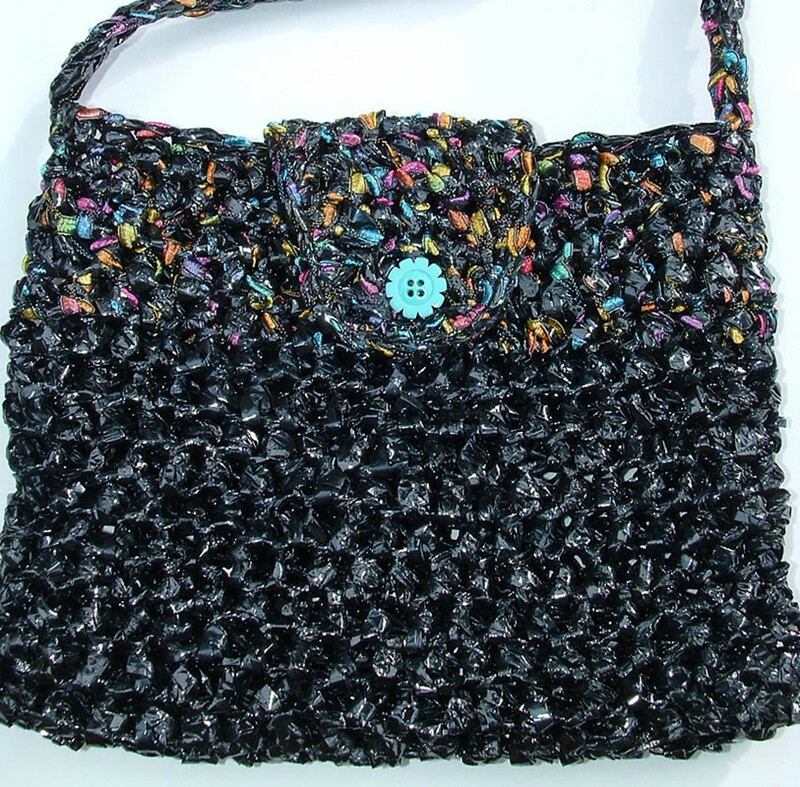 This week I broke down some old vcr tapes that I had to crochet this purse. I added some lacy ribbon yarn that I got at the dollar store for 99 cents to add a different look to the project. Below is closeup of my finished project. Recycling video tapes into craft projects is always fun and while it’s not the easiest material to work with, the results are very pretty. The unique shine of the tape is beautiful and the ribbon yarn gives it a colorful finish. Plus its a great way to recycled those old video tapes that so many people just have laying around and can’t figure what to do with them. Well here ya go! Using 2 strands of video tape held together, Chain 20.